Welcome to the Beijing SMIC School! In order to facilitate your registration procedure, please get the following documents well prepared in advance. Please be noted that the documents required by our healthy room may take a certain period, so please prepare accordingly. Note: the student cannot enter the class until the whole process is completed. 3. Please buy insurance according to Appendix 4《Ping An Insurance Notice》‍. 4. Fill out the health status form, please refer to the Appendix 5《Medical History Sheet》, plus 1 copy of 1 inch photo with white background. 5. Please read the noitce of Appendix 6《Medical Insurance for Beijing Students‍》 and fill out Appendix 7 《Medical Insurance Information for Residents》. Elementary: A set of school uniform includes 3 short sleeve polo, 3 long sleeve polo, cardigan sweater, and a fleecehooded sweatshirt. The total package cost ¥350/student. Please refer to ES Uniform Order Form‍ for more information. Middle School: A set of school uniform includes 3 short sleeve polo, 3 long sleeve polo, and a fleecehooded sweatshirt. The total package cost ¥340/student. Please refer to MHS Academic Uniform Order Form for more information. A set of PE unform is required to purchase online. Please refer to SMIC CollegePro Online Ordering Process. 2. There will be a school bus company to go through the bus application procedure on site. 1. 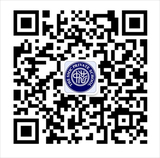 There should be an account (deposit card or bank book) of China Construction Bank opened in the parent or the student's name with the pre-deposit fee. 2. A copy of ID card (both sides on one A4 paper) of the bank account holder and a copy of the bank card. 1. For foreign passport holders who already has a xueji (student's national status registration), please draw Elementary and Middle School Students Transfer Contact Form in quadruplicate from the student's current school. Please collect stamps from the 5 places: admissions office of SMIC→Social Development Bureau of BDA→Board of Education of Daxing District→student's current school→Board of Education where his/her school belongs to. For foreign passport holders who doesn't have a xueji, we will generate one at our side for him/her. 7. Please download Appendix 6《Detail Information Form》, fill in and print out the Form, which should be signed by the parent in person. Parent's signature to confirm the student and parent contact information are correct.